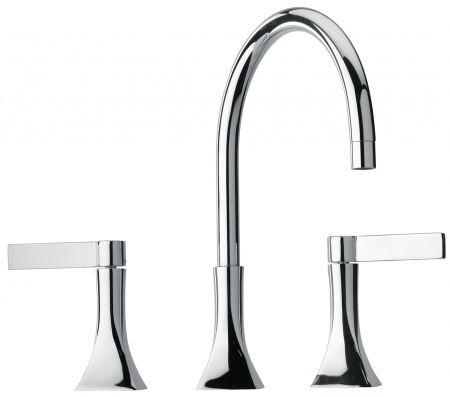 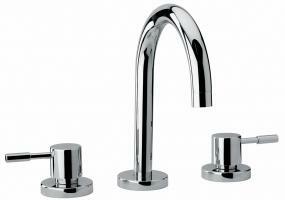 Any style of bathroom will be enhanced with the installation of this modern bathroom faucet. 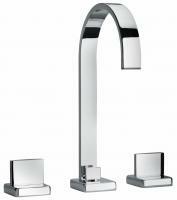 With two handles it is easy to control the water flow and temperature. 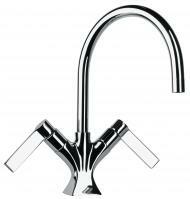 The high arched spout allows for plenty of space for use. The silver chrome finish is just one of the color choices available.